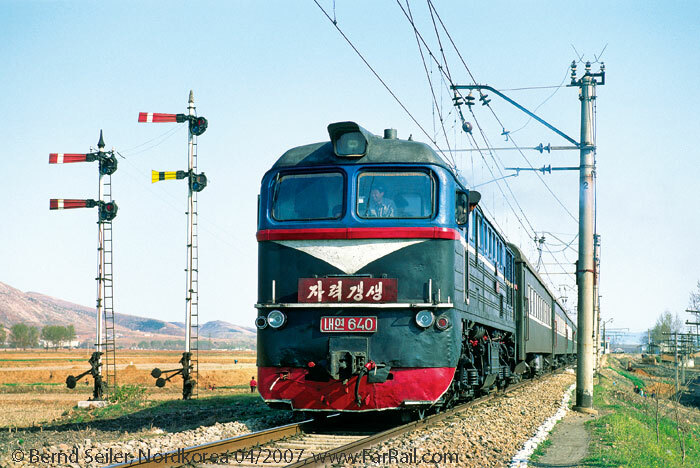 I have seen models of plenty of Asian railway systems but never North Korea, which aside from it the *interesting* political situation surrounding it at the moment, has a fairly interesting railway network with pockets of steam operation and some interesting DIY trains, such as the former German metro cars converted to heavy-rail EMUs. Is there any possibility of modelling North Korea in N without having to totally build everything from scratch? 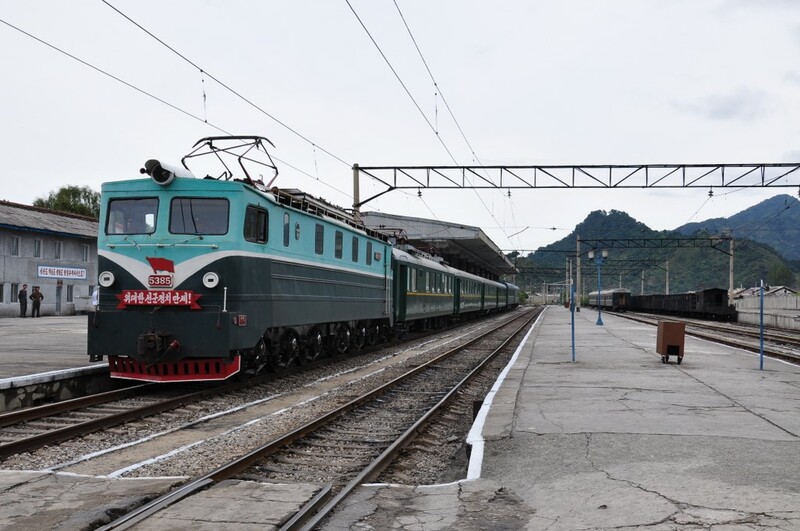 In ready to run terms, there is the M62 available and Piko's RZD coaches which could be Koreanified with fairly little effort, but is there anything else available from obscure Chinese manufactures etc.? Small note- American and Japanese users of this forum would be surprised that in the UK, adverts for rail holidays to the DPRK can often be seen in railway magazines. 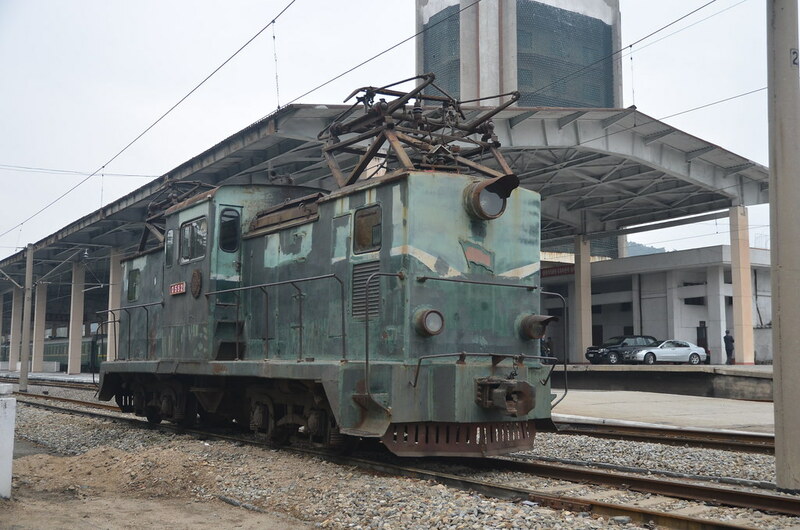 Quite a few people go on these trips and thus photos of North Korean railway equipment is fairly easy to find. Hugh, that is surprising, but they need cash and tourism is pure foreign cash and in this case mostly cheap labor is needed for nice rail trips like this thats expensive elsewhere! Paul from AsiaNrails (railtunes here) hopefully will chime in as he is pretty up on this sort of thing. Quite a few people go on these trips . . . But do all of them return? Interesting, I enjoy the Soviet designs but I didn't know that there were already some models available in N. Cool to see the manual semaphores still in use in the modern day. 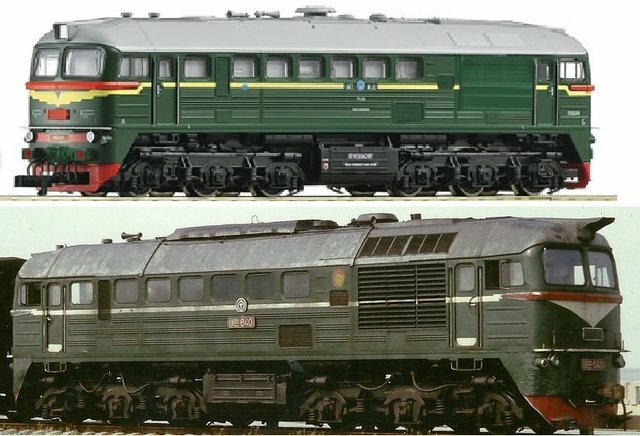 Imho most big manufacturers won't release anything related to the DPRK, like there is a sizable hole in the european train model lineups around WW2, with the 2nd half of ep2. mostly missing. PS: The M62s were made in the SU, but in the Luhansk part of Ukraine (currently called the Luhansk People's Republic, depending on the state of the frontlines). Ukraine have a significant amount of standard (well mostly dual) gauge network. Since the gauge differences are small, it's a shifted 4 rail system instead of 3, built like a gauntlet. 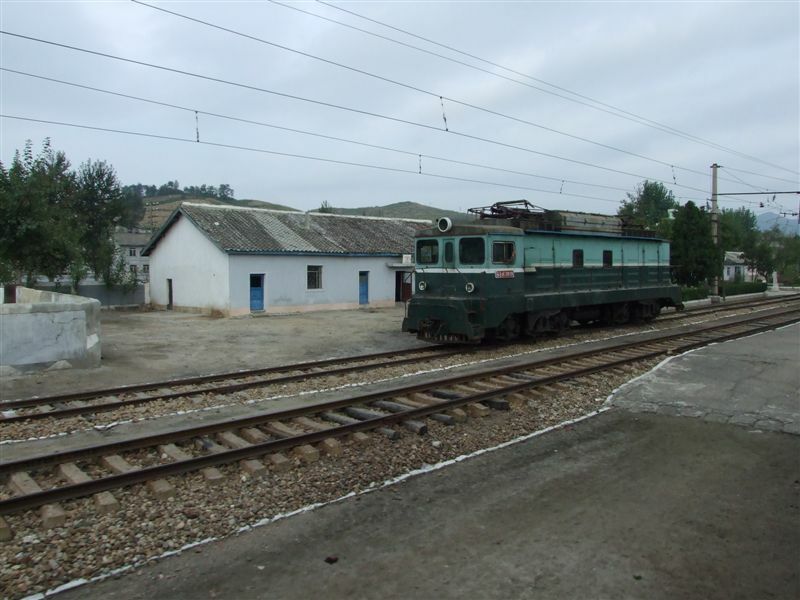 North Korean railways may be an extremely interesting modelling subject, maninly because of the presence of so many different classess in so many different variations from so many different countries (Europe, USSR, China...) . 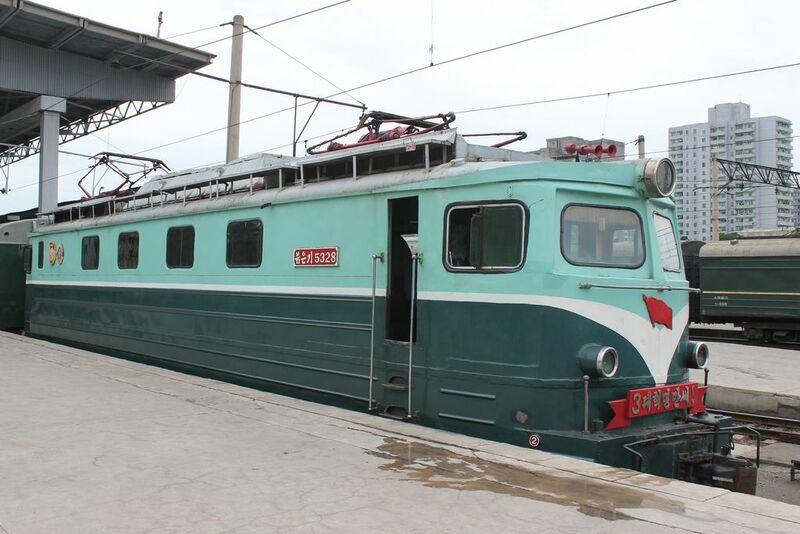 ... and the fact that North Korean railways are an affascinating but totally-out-of-the-mainstream subject. 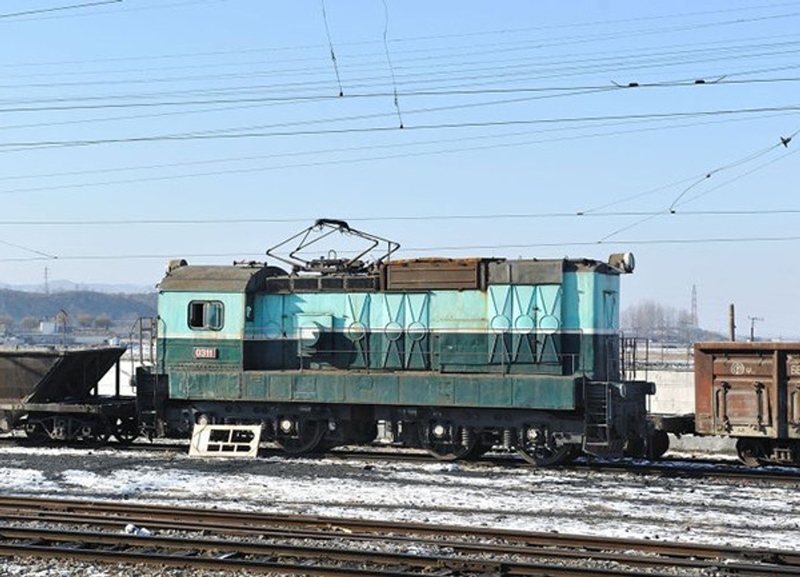 Then, it would be more easy to make an H0 scale DPRK-themed layout rather than an N one, mainly due to the avaibility of rolling stock (except for the M62 loco). 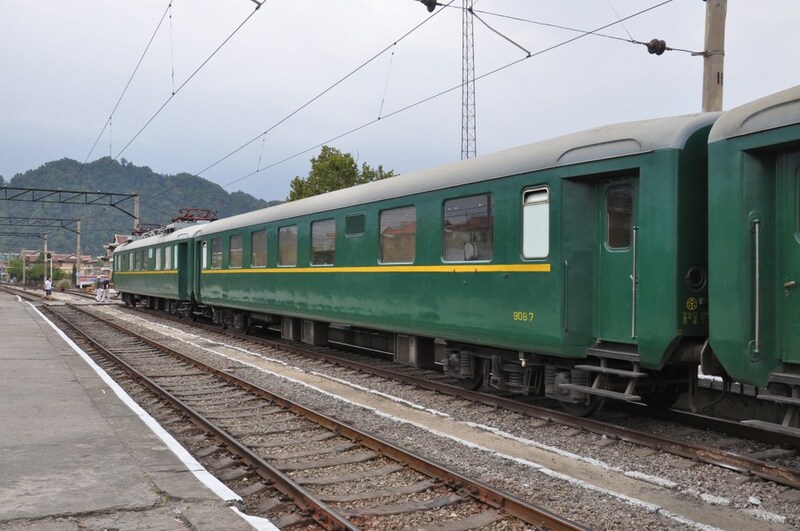 Former Slovakian Class T448 (KSR 400 series), avaible as a limited series by MTB model. You have to custom-paint it tho. 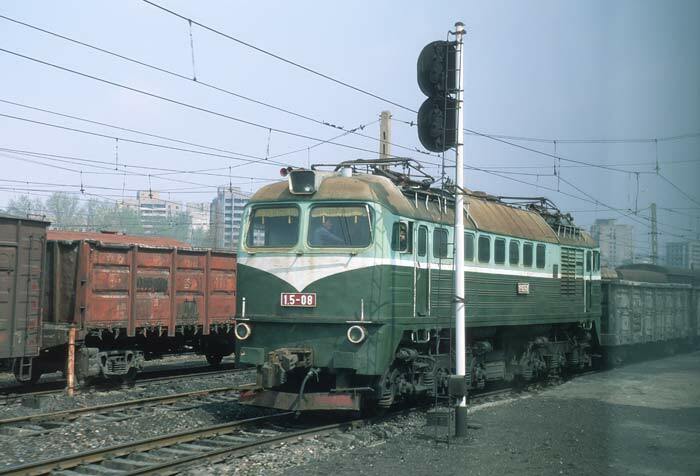 Various russian built "road-switchers" such as TEM1, TEM2... (all classified KSR 500 series). The TEM-2 is avaible by UMF in both Polish PKP Cargo (SM48) and Russian RZD colors. 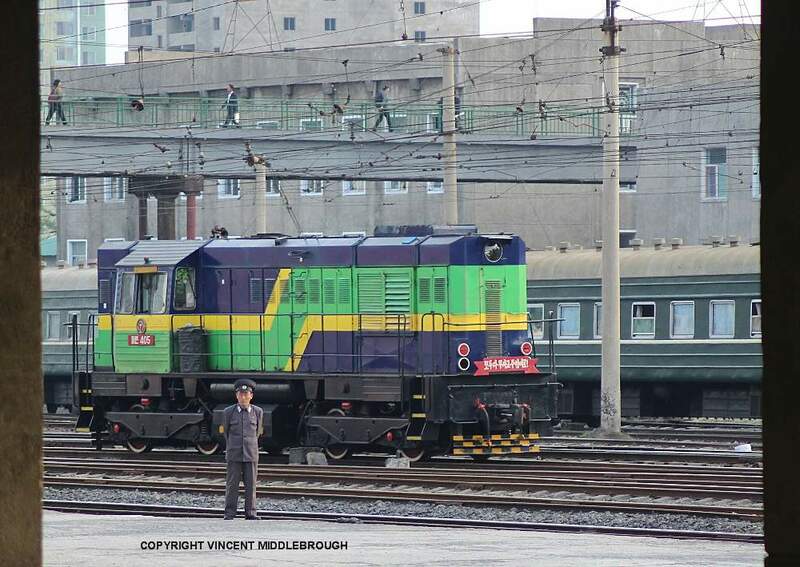 Some units have been spotted still in their RZD colours. Either Second-Hand or Newly-Built M62s (KSR 600, 700 and 800 class) avaible by Roco in H0 and by Minitrix in N.
With or without buffers, round or squared headlights, a ton of different livieries, you choose! Things here start to get hard, because North Korea's 90% electrified lines use locally built locomotives, mainly the "Red Flag" class, wich has become a landmark of North Korean engineering; so prominent, it has been fetaured on postage stamps, propaganda posters, various painting and it has been awarded the "Hero of Labour" title and the "Red Banner Of The Three Great Revoultions" medal THREE TIMES. There is no similar loco, so you'll have to kitbash it. -Czechoslovakian Skoda 22E2 (imported in the 1950s) aka CSD E499. So you can take the H0 Roco or The N Minitrix models and make a bit of modifications to get this unique locomotive. Once a year or so, I toy with the idea of making an NK-themed HO scale module, but the scarcity of suitable models (And the prices of the ones that are available) has always deterred me. 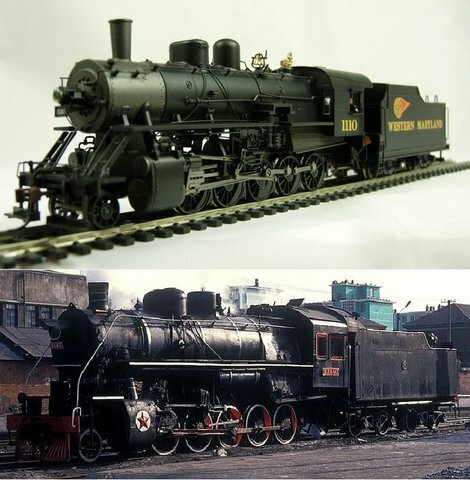 The only steam locomotive that could be reasonably pulled off is KSR's ALCO-made 2-10-0s (8100 Class), Bachmann made several models of them (The ubiquitous "Russian Decapod") and they can be bought for anywhere between $120 and $170 depending on model options and dealers (A few custom decals and some paint, and you'd have a nice looking model). Roco makes a Soviet M62 diesel that could be painted into a KSR K62. Modeling the KSR in HO scale (Or any scale for that matter) would probably be one of the most difficult undertakings in model railroading history, so I highly doubt we'll actually see anything for a long time. 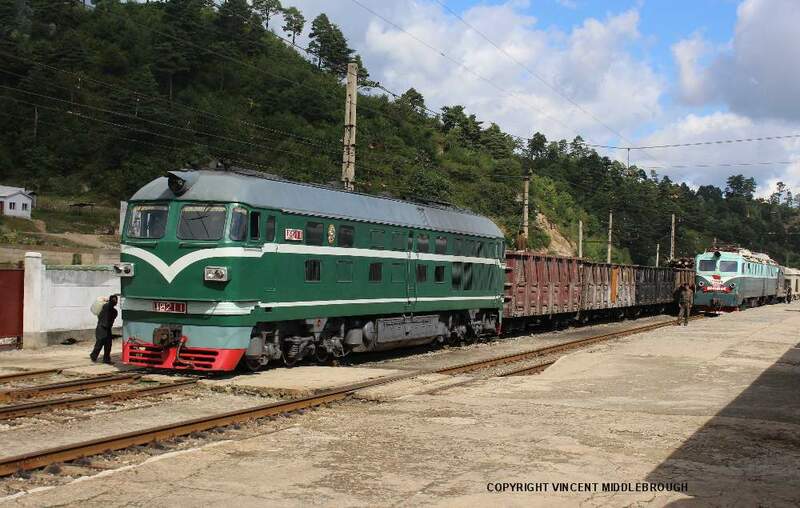 Don't forget Chinese models, much of the DPRK rail network uses older Chinese national railway stock so a DF4b and some yz22 coaches will go far. Bachmann china also makes some of the smaller classes of Chinese steam like the JS and SY class which could be found in use in NK up until the mid 2000s. 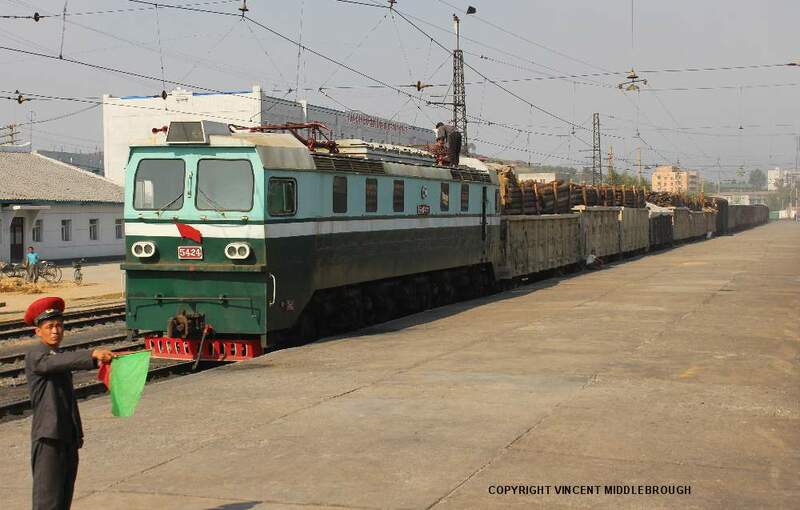 And of course you could replicate Kim Jung un's personal train using some DF11z locos and a long rake of 25 series green cars. I know KSR used/uses the JF Class mikados and GJ Class 0-6-0Ts, but I couldn't find anything that says they used the JSs or SYs. For diesels, KSR also uses the BJ, DFH3 which have nice HO scale models, they also use the DF5, but no models of it exist. 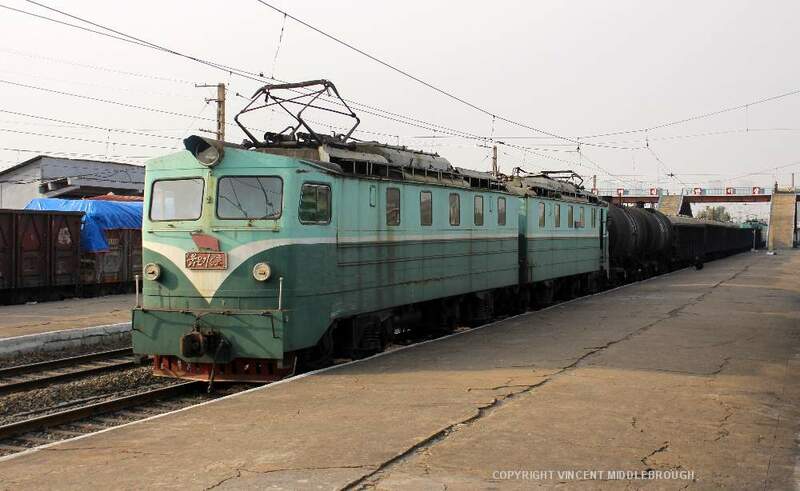 Most of the KSR's ex-Chinese locomotives (And some of the Soviet ones) still have their original paint, so modeling them would be simple as replacing the Soviet and Chinese numbers and decals with DPRK ones. I certainly could be wrong, I've only seen photos and I very easily could have mistaken the exact class of locos. 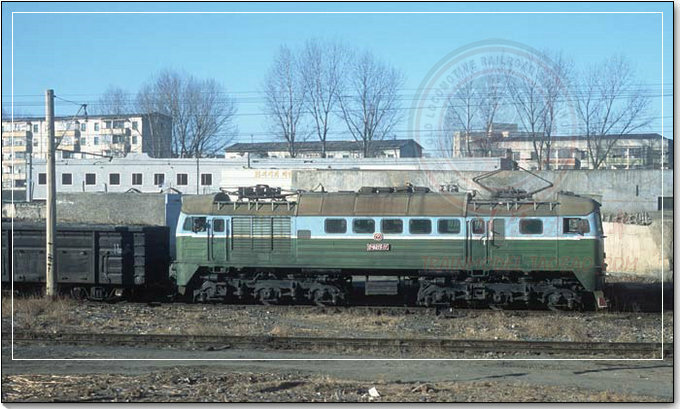 I think bachmann china made a very nice JF class model which would work well for NK. Per the number boards, I've seen photos where the DRPK kept the Chinese cast plates and just painted over the existing cast numbers! Its a fascinating prototype for sure. At a first glance, a JF does look like an SY, and some JFs have smoke deflectors and cowlings (If that's what you call them) around the smokestack and domes which make them also look like JSs. EBay has some nice JFs for sale, but at an obscene $420, and that's not counting the price of modifying them into KSR units. 1. Scarcity of information. Naturally, such a secretive country isn't going to have tons of good solid data on their railroads, and what little that is there is either speculation, propaganda, or outdated. 2. Lack of models. Since no models of KSR rolling stock exist anywhere in any scale, they would need to be either built from scratch or modified from existing ones, and even these models are getting hard to come by (Availability and price being the main factors). 3. Modifications. 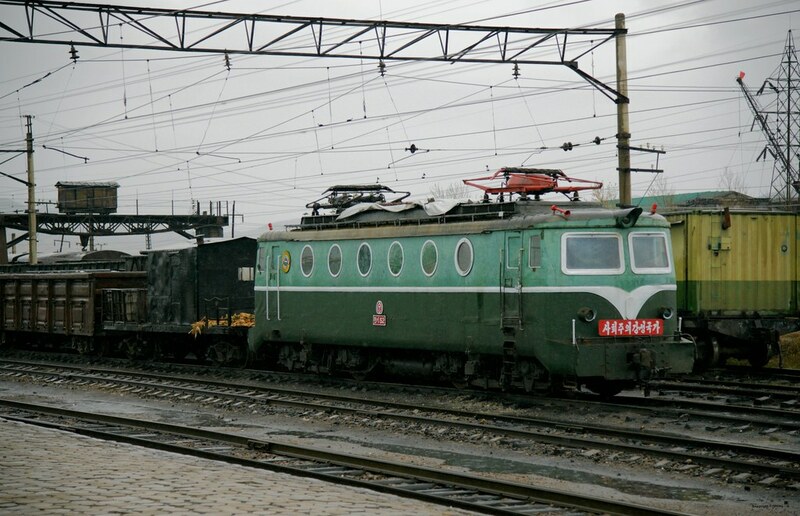 If a potential modeler is lucky enough to procure some Chinese and Soviet rolling stock, he would then need to custom mix paint colors and custom make his own decals, and depending on how many pieces of rolling stock he has, it could be hard on his wallet and his blood pressure. Bottom line: A KSR-themed layout is by no means impossible, but it will be an extremely expensive, time consuming, and tedious undertaking. Anyone planning on visiting and taking photographs would be well advised to be very careful of what is in the picture other than the trains. A tourist who's going to travel a lot and take many photos is the perfect cover for a spy, and of course railways are often found around heavy industries. Even if you never take a picture of an important facility by mistake, you could still come to the attention of the authorities and, worst case, depending on your country of origin you could be used as a political hostage. I don't mean to drag politics in to this, there's no judgment of anyone involved.